The Rimfire RTA manufactured by Voopoo boasts a user-friendly and highly-detachable structure providing a high level of comfort while operation. 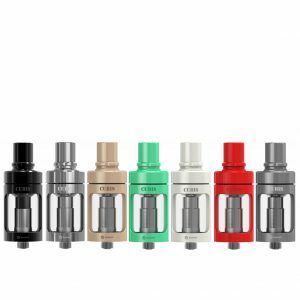 This convenient to use atomizer adopts a full-size build deck that is easy to build coils. It supports both single and double coils. The Rimfire also stands out for its dual tight airflows where the center airflow is for air down and the side is for air up. Before getting up into the build deck, the side airflow travels through two side cavities bringing pure flavor and ensuring no leakage. 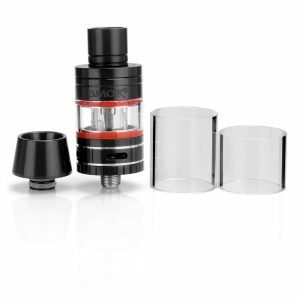 Measuring 30mm in diameter, this vape tank holds up to 5ml of e-juice. 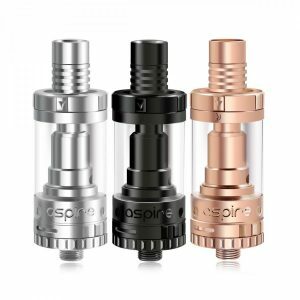 Because of the clip-on top cap, it is much easier in terms of e-liquid filling. The pending and closing of the tank features anti-tooth design, which can be disassembled by turning clockwise to prevent the wrong operation caused by rotating the opening and closing of all components on the same side. What is more, thanks to the buckle type 180 degree screw-in structure, you will save time and will not face any difficulties. 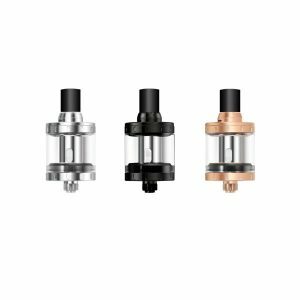 As for construction, the Rimfire RTA is made of stainless steel and glass. Design-wise, this atomizer is made very attractive. 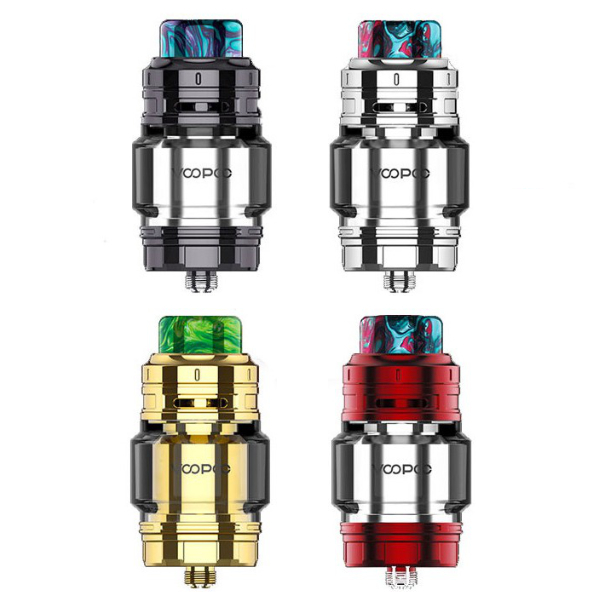 It has a bright resin drip tip and comes in 4 different colors. In short, the Voopoo Rimfire RTA brings great comfort while usage, pure flavor of your favorite e-juice and pleases your eye with an alluring look. For sure it worth trying!